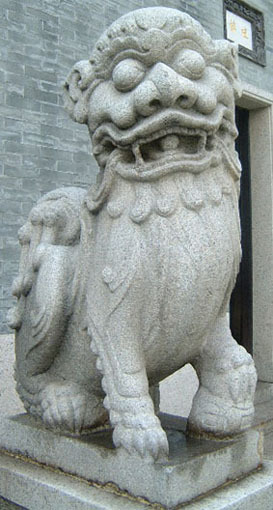 The guardian lions on this page were photographed in the Zumiao Temple (祖庙 zǔmiào 'ancestral temple') in Foshan (Guangdong Province). 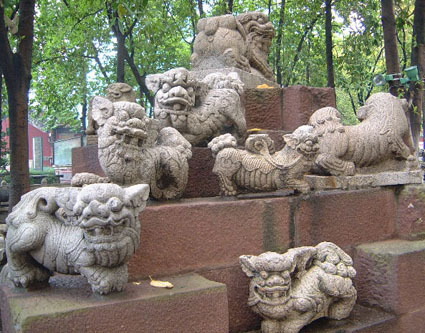 This was where I first started photographing stone lions. 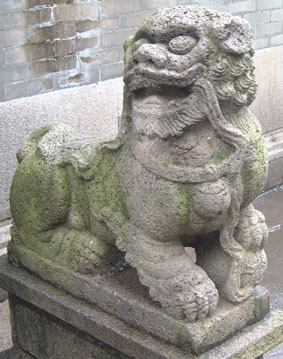 To my regret, there were several lions that I omitted to photograph, including some rare Ming-dynasty stone lions. 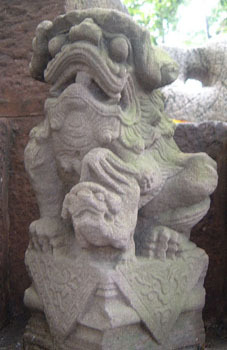 This pair of lions is representative of another fairly common posture, where the lions are crouched but somewhat raised up on their paws at the front. 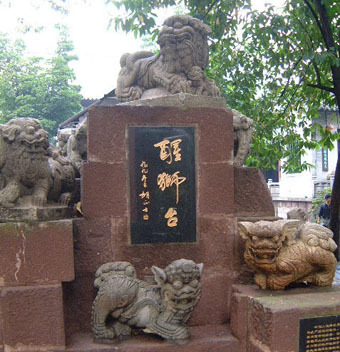 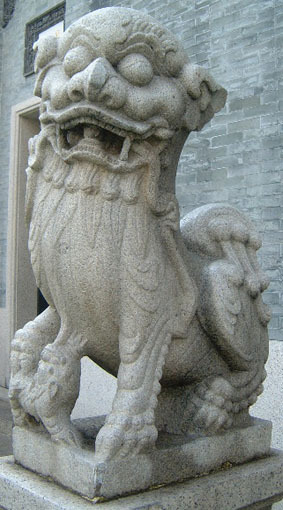 The Zumiao had quite a thing about stone lions. 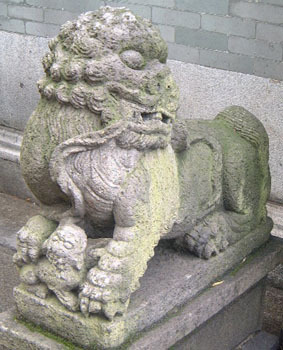 There was a small "hill" in the grounds that had lions gambolling all over it!